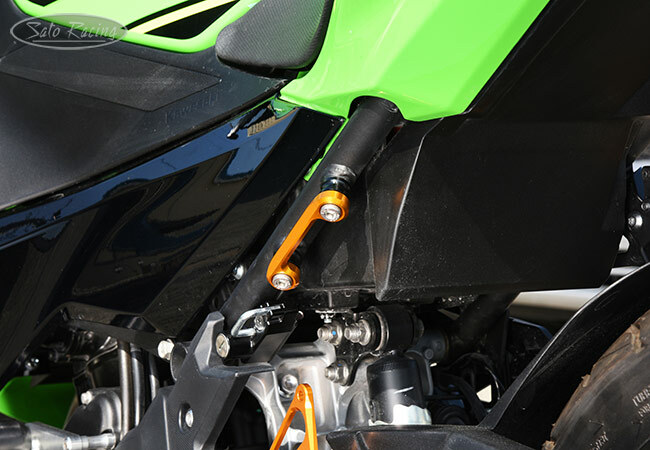 This lightweight anodized billet aluminum Racing Hook provides a sturdy loop for a tie-down strap or bungee cord when the left passenger peg bracket has been removed, very useful to have for those times when you need to strap down the bike to transport it. 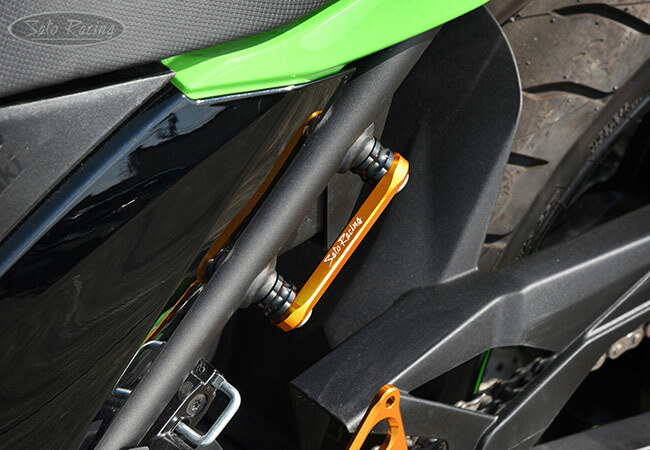 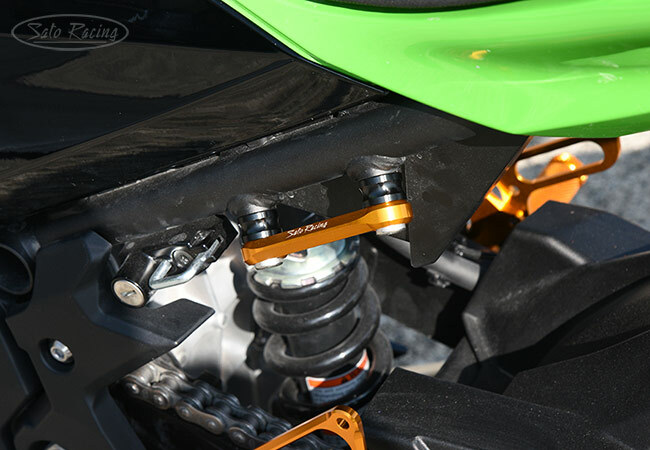 This Racing Hook is sold individually as a left-side-only hook, but the hook design is symmetrical so it can also be installed on the right side if you are not using the stock exhaust hanger (such as if you have an aftermarket shorty style exhaust). 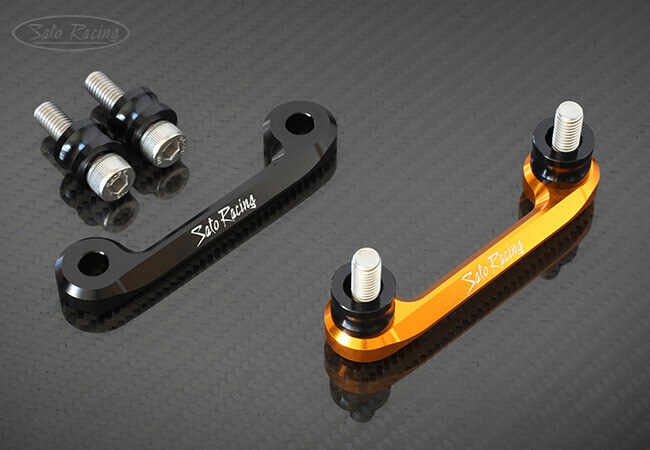 Choice of Black or Gold. 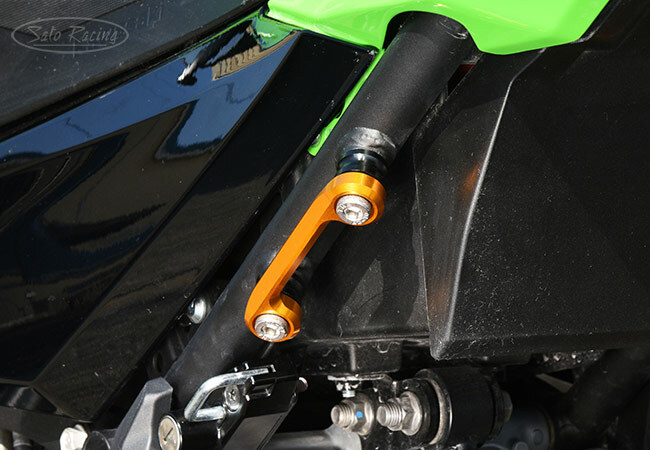 Includes black anodized billet aluminum spacer collars and stainless steel bolts. 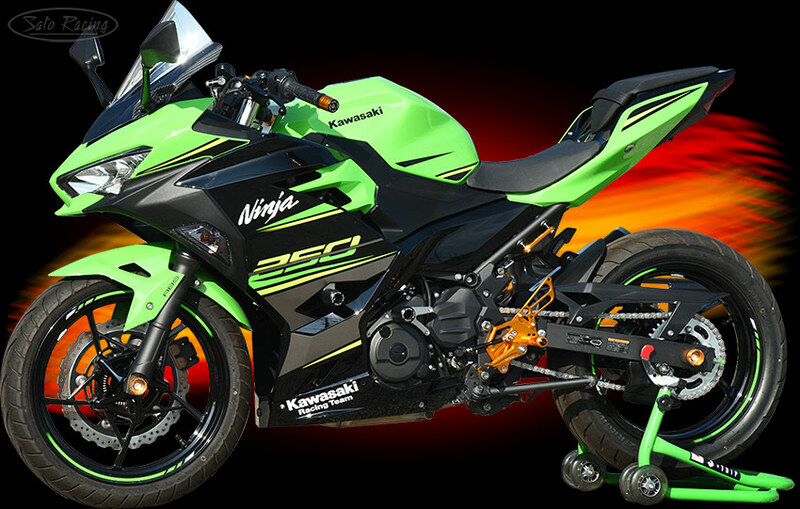 2018 Ninja 250 (Japan spec) with SATO RACING Rear Sets, Frame Sliders, Engine Sliders, Racing Hook and other parts.